A budget doesn’t control your spending. Only you can do that. If used correctly, a budget can help guide your spending, but it’s your choice where the dollars flow. There are things you need to purchase and money you must spend that is completely beyond your control. You don’t voluntarily choose for a child to get sick or the washing machine to break down. However, most of your spending decisions are a personal choice. The way you gain control of your spending is to change the process you use to spend money. It also happens to be the most difficult, because it involves changing your behavior. I contend that you lie the loudest and most often when you lie to yourself. Your ability to control your spending will be dependent upon your willingness to be honest with yourself, and if you’re married, to be honest with your spouse. An honest assessment about your priorities, preferences, habits and personality are all important. Priorities – You need to prioritize what’s most important to you. Is it a car, vacation, house, jewelry, clothes, saving for retirement, etc? You may not have it all, but you can have some of it if you are willing to forego certain items in order to save/spend for something else. Preferences – Generic vs. name brands is a common choice with food and clothing. I agree that there can be a difference in quality, but you have to decide if it’s worth the extra money you pay for a particular brand or label. Habits – Excluding major purchases, you probably have a lot of spending habits. Are you a comparison shopper, or do you choose the first item you see or whatever has the coolest looking package? Are you always crunched for time, so you eat out rather than packing a lunch or have take-out instead of cooking? Changing habits can be difficult, but it can be the key to freeing up money for something that’s a higher priority. Personality –If you’re impulsive, you may tend to buy on the spot, and maybe regret it later. Feeling a little down… how about some retail therapy to lift your spirits? Your personality affects the way you spend money. The more you understand yourself, the better you will be able to identify and avoid situations where you are not making good financial decisions. The discussions Lady M and I have about finances involve these topics. We don’t get into the, “you spent how much on what” type discussions. Communication is the key for us coming to agreement in how we prioritize and control our spending. I am a high pressure salesperson’s nightmare, because I do not make any major purchase on the spot. I’m an analytical person, so I need time to think it through. The worst financial decisions I have made came when I had to make a quick decision. You know the line… buy it now or you may lose out. I operate under the philosophy that if it’s gone when I come back, then it wasn’t meant to be. Lady M is a lot more spontaneous than I am. She also has a real affinity for designer items. Before I met her, I had no idea who Louis Vuitton, Kate Spade, and David Yurman were. I might not see a difference between a $50 handbag and a $500 one, but she does. If it’s important to her, then it becomes important to me, and to our budget. We have worked to understand and adjust for our differences. Lady M knows that we won’t buy a car the first time we go to a dealership. I know that our travels and vacations will include shopping (and sometimes buying) handbags and jewelry. By being honest with ourselves and each other about our priorities, preferences, habits and personalities, we have modified our behaviors to collectively control our spending, so we both win. 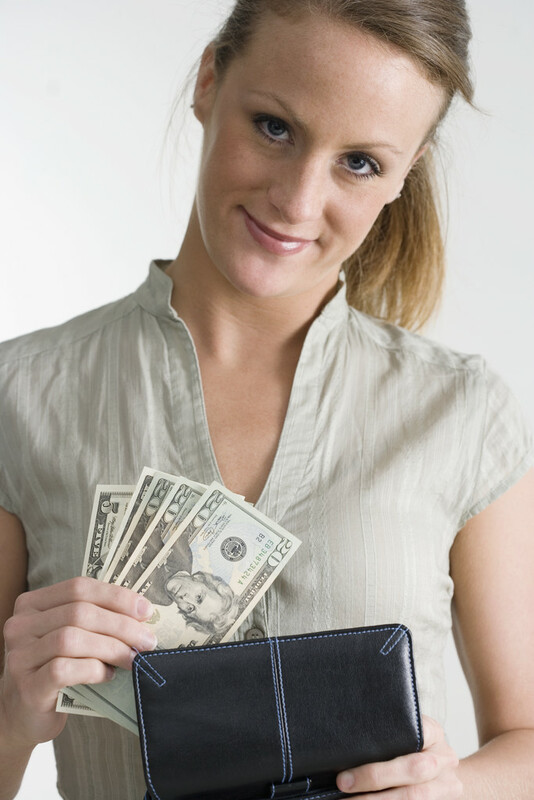 You may find these may be the key to controlling your spending as well.